Harry Drechsler joined his wife, Ann in heaven on July 19, 2018. He was born on July 8, 1927 and just celebrated his 91st Birthday. 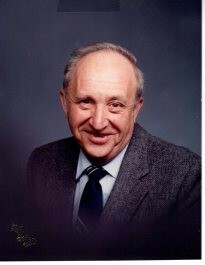 Harry served in the U.S. Army and retired after 44 years from B.F. Goodrich. He was a jack of all trades and loved working with his hands. Harry enjoyed gardening, fishing and woodworking. His greatest love was his family. He was preceded in death by his parents, Eva and Sam; wife of 68 years, Anna. Harry leaves behind to mourn his loss, his daughters, Judy and Karen; his beloved granddaughters, Annie and Madison. He also leaves behind his special nephew, Bob Watters and family; the sons he always wanted, Walt, Andy, Micky and Milan Petrovich and their families; and the Jim Stanley family. A special thank you to Carmilla. John, Pastor Dan, Shelly and Tyler from Kindred Hospice for their wonderful care of our father. Visitation will be 11:00 until 1:00 p.m. Wednesday, July 25,2018 at the Donovan Funeral Home, 17 Southwest Ave. (on the Historic Tallmadge Circle). Funeral service will be 1:00 p.m. following visitation at the funeral home with Rev. Richard Thewlis officiating. Interment will be at Tallmadge Cemetery. In lieu of flowers, memorial donations may be made to Tallmadge Paramedics, 85 W. Overdale, Tallmadge, OH 44278 or your local Alzheimer Association.